“I know that you are still a virgin,” Chigusa whispered lewdly. Makoto wanted to push him back, but why do his mind and body gradually desiring Chigusa instead? Will that pure and embarrassing “word” spilled out of his mouth? 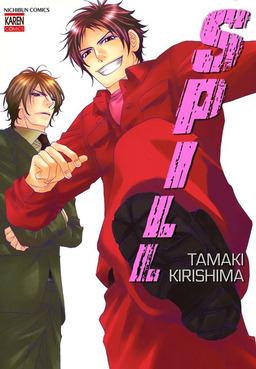 “Spill!” is a light crime BL that would bring smile and excitement with powerful characters and entertaining narratives.